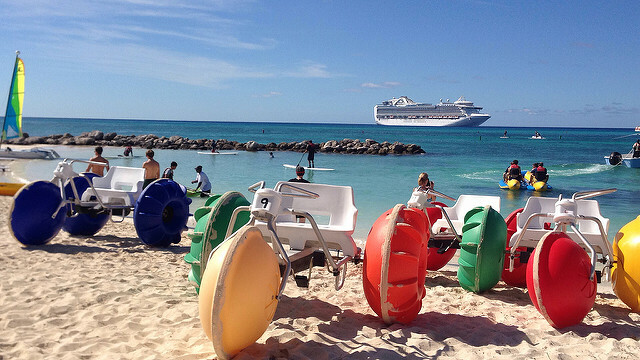 What are some much talked about Caribbean cruise destinations, ideal for a family-friendly cruise vacation? You will be excited to know that cruise lines visit many popular Caribbean cruise ports. 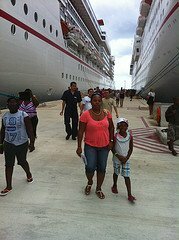 You will find a Caribbean cruise heading to a Caribbean port of call that the entire family will enjoy. Whether you want to visit islands in the Western Caribbean - Cayman Islands, Cozumel, Hispaniola or Jamaica (many inclusive cruises to Jamaica), you will find a Caribbean cruise line heading your way. Or, if you prefer a hot spot in an Eastern Caribbean cruise destination - Antigua, St. Kitts, St. Thomas - USVI, Tortola - BVI, or St. Maarten, you will also find many sailings from which to choose. What about the Dutch Caribbean? Are you interested in Caribbean cruises which include places like Aruba, Bonaire or Curacoa? Yes, these are also available. You may only be interested in one of many Bahama cruises. The Bahamas islands are among the hottest Caribbean cruise destinations. Let us pause for a moment to note that many Western Caribbean cruise destination sailings also include ports of call in Mexico, such as Cozumel, Progreso and Costa Maya. In addition, some Western Caribbean itineraries include stops in Central America, such as Belize City, Belize and Roatan, Honduras. Whatever your liking, you will most likely find an all-inclusive Caribbean cruise heading to a port of call some place in the Caribbean. As for me, my family has visited the Bahamas, the Eastern Caribbean, Southern Caribbean and the Western Caribbean. Our first cruise was a 5-day Western Caribbean cruise to Grand Cayman, Cayman Islands; Cozumel, Mexico; and Nassau, Bahamas. As I noted before, when we returned from that cruise none of us wanted to leave the ship. Our boys asked if they could stay. My family's second all-inclusive cruise was a 7-day Western Caribbean cruise itinerary with stops in Costa Maya, Mexico; Belize City, Belize; Cozumel, Mexico; and Nassau, Bahamas. We enjoyed the sites of Cozumel, the beaches of Costa Maya and Nassau, but were disappointed with the stop at Belize City, Belize. As we toured the city, our main question was - What is the government doing with the revenue from tourism? Let's just say that the government could do better making the city more appealing and inviting to its guests. That was in 2007, so things might have changed since then. In addition to six Western Caribbean cruises, we have sailed with Norwegian and on a 7-day Eastern Caribbean cruise, Carnival Cruise Line on a Southern Caribbean cruise and with Royal Caribbean on a 4-day Bahamas cruise. 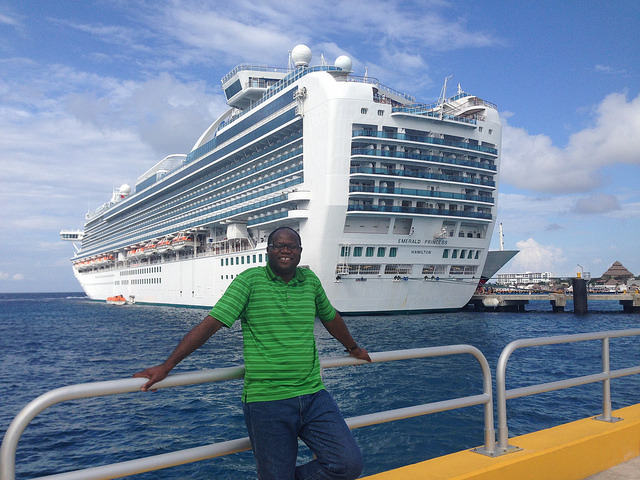 We have since visited Ocho Rios, Jamaica and have also sailed with the Crown Princess on an Eastern Caribbean cruise. The Princess cruise was my favorite. Now, are you interested in the length of the cruises to these many Caribbean destinations? I thought you would never ask. If are you looking for a 3 day (or night) Caribbean cruise, a 4 day (or night) Caribbean cruise, a 5-day (or night) Caribbean cruise, a 7 day (or night) Caribbean cruise, or even a 9-day cruise, or an 11-day cruise, you will find one. You will even find longer cruises, if you want to. As we noted above, the Bahama islands make for exciting Caribbean cruise destinations because they are simply beautiful and there is gorgeous year-round weather in the Bahamas. The most popular stop in the Bahamas is Nassau. Most people know of Nassau, especially because it provides easy access to a world-renowned resort stop - The Atlantis Resort on Paradise Island. 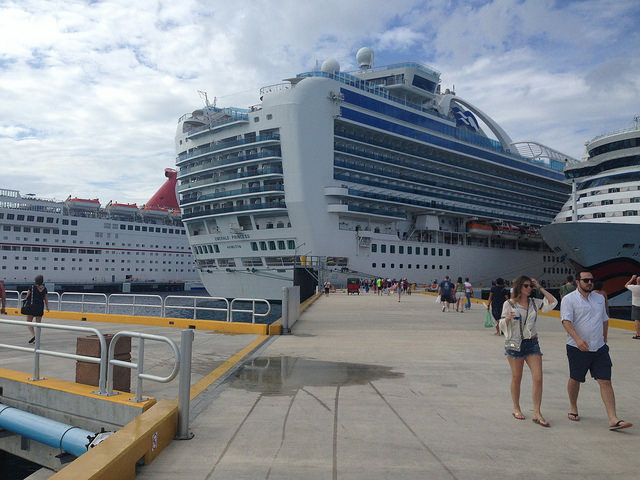 However, in addition to stops in Nassau, Bahamas, cruise lines stop in Freeport, Bahamas. In addition, the top cruise lines (Carnival Cruise Line, Disney Cruise Line, Norwegian Cruise Line, Princess Cruises and Royal Caribbean Cruises) that include the Bahamas in their Caribbean cruise destination line-up own private Bahamian island resorts. 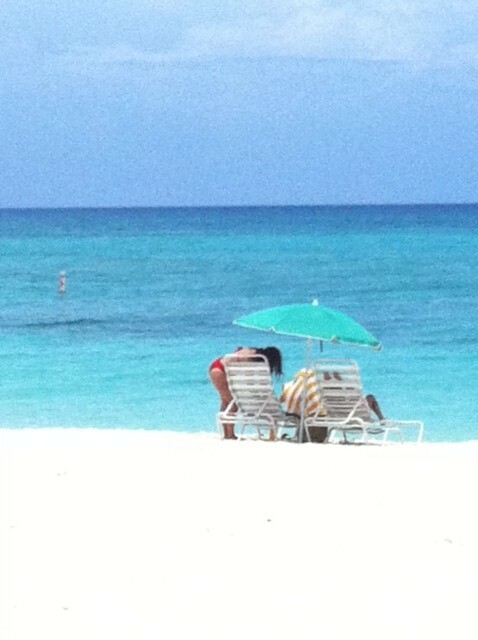 What are these private Bahamian islands? Holland America owns Half Moon Cay (this island is used by Carnival), Disney owns Castaway Cay, Norwegian (NCL) owns Great Stirrup Cay, Princess Cruises owns Princess Cays, and Royal Caribbean International owns Coco Cay. These private islands are generally a part of any Caribbean cruise destination with calls in the Bahamas. To sail to The Bahamas, you can generally find a 3-day cruise, 4 day cruise, or 5-day cruise sailing from ports such as Charleston, South Carolina; Jacksonville, Florida; Port Canaveral, Florida; and Miami, Florida. The top cruise lines which include the Bahamas in their Caribbean destinations are: Disney Cruises, Carnival Cruises, Norwegian Cruises, Princess Cruises and Royal Caribbean International. 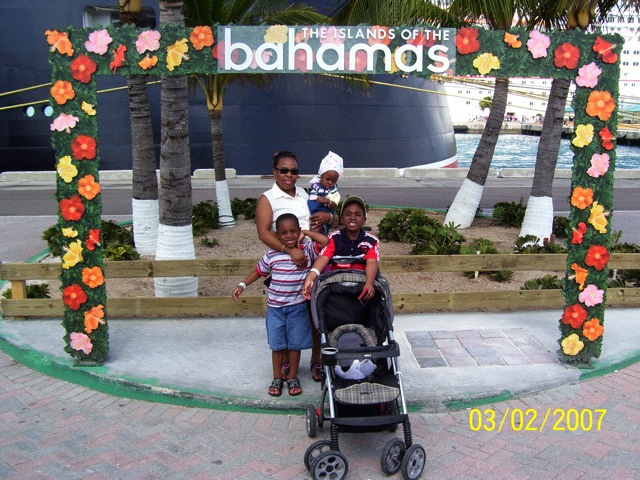 See some of our Family's Bahamas Cruise Photos. 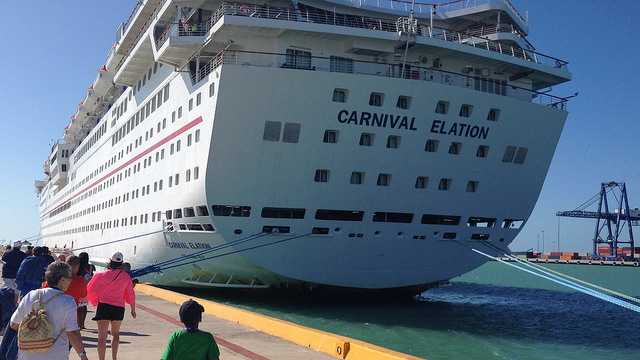 Click here for Carnival Cruises to Bahamas. Explore Bahamas Cruise Resort Packages. The Eastern Caribbean makes for many exciting cruise destinations: 6-night cruises, 7-night cruises, 8-night cruises, and even 10-night cruises. Eastern Caribbean cruise itineraries generally originate from such home ports as New York, Cape Liberty, Port Canaveral, Ft. Lauderdale and Miami. Cruises to the Western Caribbean generally include ports of call in Mexico and Central America, along with those in Caribbean islands in the west - Cayman Islands, Jamaica, etc. You will generally find these cruise sailings leaving from home ports in Galveston, New Orleans, Tampa, Miami and even Port Canaveral. Have You Sailed to a Caribbean Destination? Have You been to an Eastern/Western Caribbean or Bahamas cruise destination? Share it! While I have not spoken about cruises to southern islands, you can find an exciting Southern Caribbean cruise itinerary from several homeports. Finally, note also that as a part of your cruise experience, you will enjoy finding amazing treasures at each stop on any cruise destination. For example, consider finding a wide selection of diamonds from Diamond International when shopping in Grand Cayman. Also, think about snatching up some good Blue Mountain Coffee or Jamaican rum when shopping in Ocho Rios, Jamaica. Are you ready to cruise? Step right up - let's get you to one of many Caribbean cruise destinations that's perfect for the entire family.